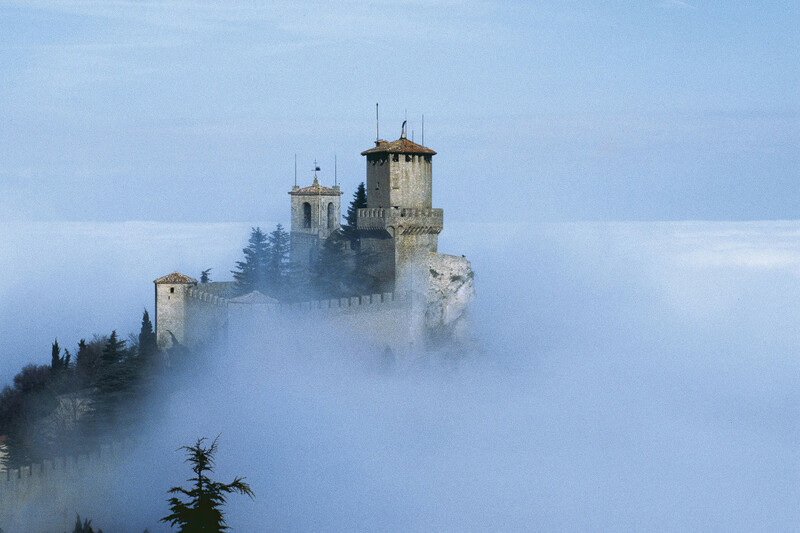 The “Rocca” of San Marino is also called the Guaita (from the Italian “fare la guardia” – “keeping a look out”) or the “First Tower”. It is the oldest and most imposing of the three towers built on Mount Titone. It dates to the 11th century and served as a guard post and a refuge for the first inhabitants on the mountain. It is mentioned as the “Guaita” in a register of 1253. The fortress has a pentagonal shape and is built directly on the summit of the mountain without foundations. The entry gate is decorated with the arms of the Republic of San Marino and was taken from the façade of the government palace. 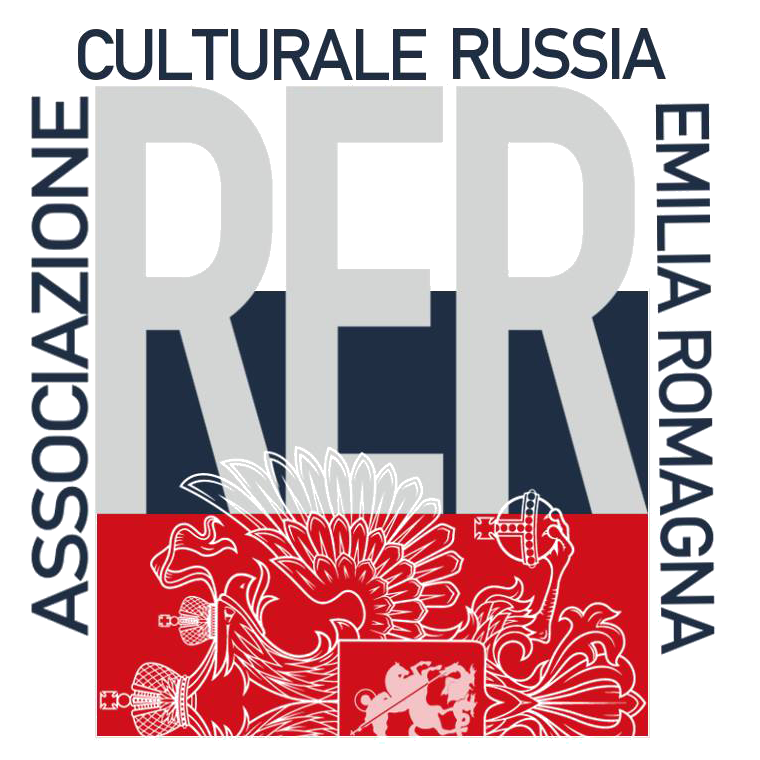 In the courtyard you can see examples of artillery including two mortars, a gift from Victor Emmanuel II the first King of Italy, as well as two cannons which are fired during certain festivals. 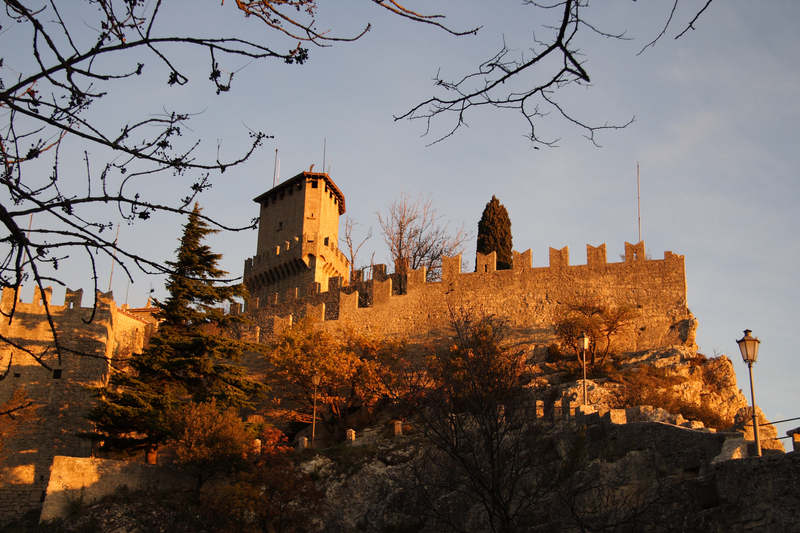 The Rocca of San Marino is surrounded by two sets of walls. 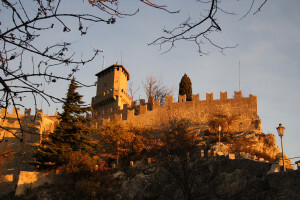 The external wall is decorated with merlons and reinforced with angular towers and were part of the original walls built to defend San Marino. The internal wall is older and includes two Towers: Torr e della Penna, a watch tower and Torre Campanaria which houses the bell that was used to call the population to the town’s defence. It is well worth visiting these towers. From the top of the bell tower there is a wonderful view over San Marino and the nearby mediaeval castles, while from the Penna tower and you can admire the Pennine hills and plain of Romagna which stretches out to the Adriatic Sea. 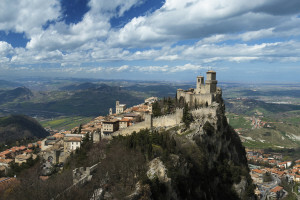 Share the post "The Rocca of San Marino"